HR professionals have made major strides toward becoming strategic partners. But they need to do more - by generating value through savvy decisions about talent. HR leaders typically assume that, to make such decisions, they must develop sophisticated analytical tools from scratch. Even then, the resulting tools often fail to engage their peers. In Retooling HR, John Boudreau shows how HR leaders can break this cycle - by adapting powerful analytical tools already used by other functions to the unique challenges of talent management. 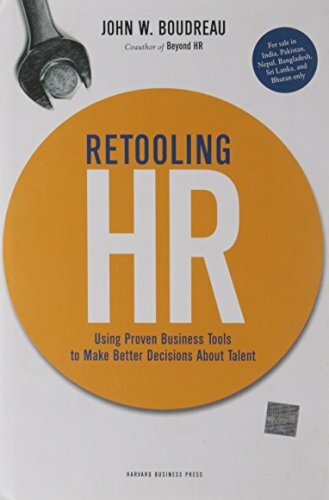 Retooling HR builds on Boudreau's bestselling book Beyond HR, which traces HR's evolution as a decision science. For HR professionals seeking to sharpen their decision-making prowess, this provocative new book blazes an innovative new path.